Lenovo M series notebooks are positioned as a solutions company, focused on business users. 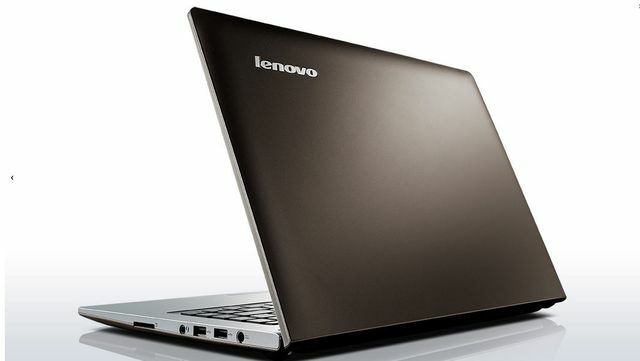 In total, this series includes two models of notebooks: the 15-inch model Lenovo M50 and the 13-inch Lenovo M3070. In this article, we consider a model of Lenovo M3070, which is lightweight, compact, stylish design, sound, reasonable hardware configuration and very sane price. Package notebook Lenovo M3070 is minimal, which is typical for low-cost solutions. It comes in a simple cardboard box unpainted. In addition to the laptop power adapter comes with 40 W (20 V, 2 A) and a reminder of the warranty service. Also note that the laptop Lenovo M3070 (as, incidentally, and all notebooks Lenovo) is equipped with a huge amount of all sorts of tools, some of which is shareware, and some – useless. And start with the laptop comes with a long and tedious procedure of uninstalling all the preinstalled applications, which takes about an hour. Lenovo M3070 notebook configuration may be different: may change the model of the processor, RAM and the configuration of the storage subsystem. But the body and the screen in all versions use the same. 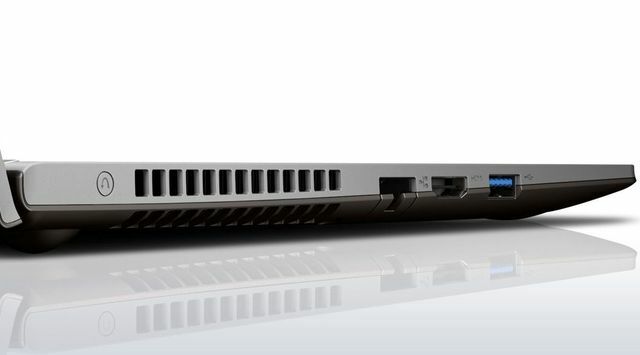 So, the foundation of our laptop Lenovo M3070 is a dual-core 22-nanometer processor Intel Core i3-4030U . This processor is clocked at 1.9 GHz and Turbo Boost mode for the processor cores is not provided (this feature of all family processors Core i3). The size of its L3 cache is 3MB, and the estimated maximum power – 15 Watts. The processor integrated graphics core Intel HD Graphics 4400, the base clock frequency is 200 MHz, and the maximum (in the mode Turbo Boost) – 1 GHz.Notebooks Lenovo M3070 can be equipped with other processors and Intel. In particular, the sale is a model on the processor Intel Pentium Dual-Core 3558U and Intel Core i5-4210U. 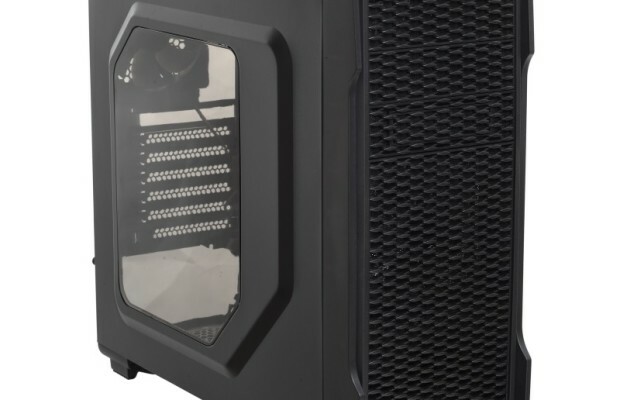 No discrete graphics card in this model is not provided, that is welcome. Indeed, this notebook is aimed at business users. On these laptops do not play, and the availability of video games in this case is simply meaningless, as with the other tasks quite cope graphics core processor. In addition, low-cost notebooks usually if equipped with discrete graphics cards, the entry-level (such as Nvidia GeForce 820M), which, by and large, is simply meaningless. To install the memory modules DDR3L-1600 laptop is only one slot, and the maximum memory is respectively 8 GB. In this case, the laptop was set module SK Hynix HMT451S6BFR8A-PB 4 GB, but there are models in which the module is installed 8 GB. Storage subsystem notebook is a 2.5-inch Hybrid (SSHD) drive Seagate ST500LM000 500 GB.Some models can be installed and SSD-drives; present only available in Russian model with SSD (128 GB) is about 2000 rubles more are covered in this article (at the coincidence of other characteristics). Making Connections are determined by the presence of a wireless network adapter Qualsomm Atheros AR956x, which combines Wi-Fi modules, and Bluetooth 4.0. In addition, there is a wired Ethernet interface based on the PCIe-network controller Realtek.Surprisingly, this is not a standard Gigabit LAN controller, and the controller obsolete Fast Ethernet (100 Mbit / s). The audio subsystem notebook Lenovo M3070 is based on HDA-codec Realtek ALC255. In the case of the notebook built-in dual speakers, at one end there is a combination audio jack type minijack (microphone, headphones). It remains to add that the laptop is equipped with a built-in HD-webcam located above the screen and removable battery capacity of 34 Wh. Usually in the low-end models of laptops budget everything, including housing, which is made from the cheapest materials. And expect a cheap laptop will be housing the premium is not necessary.Nevertheless, the appearance Lenovo M3070 is not associated with the budget model. 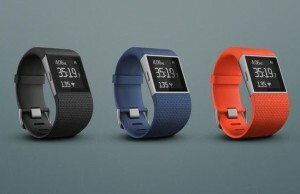 It is lightweight (1.8 kg), thin (maximum thickness 22 mm) and looks very stylish. Of course, there are 13-inch models are lighter and thinner, but that’s another price category. That is, we would say that for the price category Notebook Lenovo M3070 looks very decent. The notebook is made entirely of plastic. The outer surface of the screen is painted in a dark brown color, and you can not say that it is very practical. Cover is not glossy, but, nevertheless, Mark, and her fingerprints are visible. It should be noted that the lid of the laptop has a good stiffness. To bend or bend it, you need to make a significant effort. 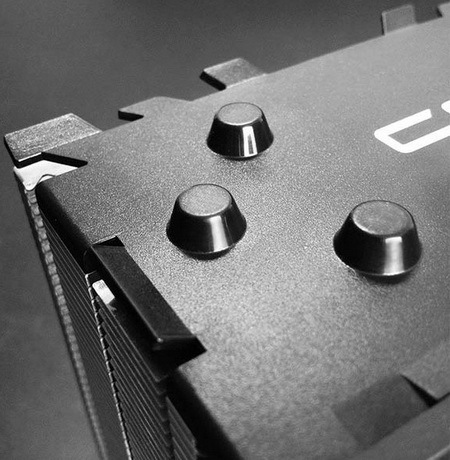 The bottom panel of the case is made of black plastic. There are two air vents and grille built-in speakers. In addition, the housing base in this case removable. After removing it, you can access a memory card drive, wireless module and cooling system. Generally, in terms of ease of disassembly of the laptop Lenovo M3070 there is no problem. Working surface framing the keyboard and touchpad, keyboard pad, the surface of the touchpad bezel and side faces have the same silver color. This silvery surface, which imitates the metal is not easily soiled and fingerprints on it invisible. On the working surface in the upper left corner is the power button. Earlier in the laptop does not provide any buttons. The screen is attached to the body of the laptop with two hinges along the edges of the screen frame. The hinges are sufficiently tight turn, allowing to fix the screen in any position. Such an attachment system allows reject screen keyboard relative to the plane at an angle of about 130 °. 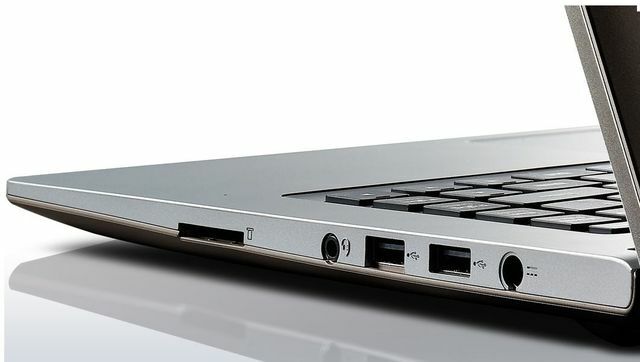 On the left side of the case is a port USB 3.0, connector HDMI, RJ-45 connector, ventilation grille of the cooling system and the button Nova, the traditional notebook Lenovo. Recall that the press of the button allows you to run the utility Nova Lenovo OneKey Recovery and enter the BIOS. Since the notebook is very thin, the RJ-45 is made with a flip-down lid. On the right side there are two ports USB 2.0, a slot for SD-memory card, a combined audio jack and power connector. The front and rear edge of the body does not have any connection. On the front face to the right of the visible LEDs and battery power. 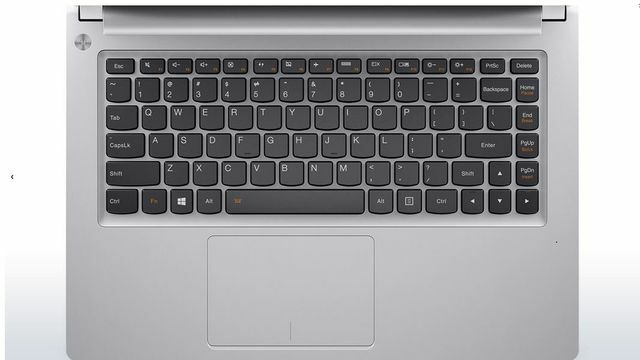 The laptop Lenovo M3070 uses a proprietary keyboard Lenovo AccuType. Its feature is that the keys are slightly rounded (in plan) from below. Of course, this form of the keys is no better than the traditional square form, and certainly does not provide a more accurate data entry, as it is stated on the manufacturer’s website. However, this keyboard looks very original. The surface beneath the keyboard slightly recessed relative to the working surface, but has the same color as the worktop. The base under the keyboard tough enough to print it is almost no flex.The keys are well biased, and there is an easy fix printing press. In addition, the keyboard is very quiet: When printing press did not publish klatsat irritating sound. The keys have a standard size of 15 × 15 mm, and the distance between them is 3 mm. The keys are black and white letters on them (like Latin and Russian). Highlights from this keyboard is not provided. No separate numeric keypad NumPad (which is natural for a 13-inch laptop). The top row of keys, as usual, has two functions: a traditional F1-F12, a laptop or a control function; one set of works directly, the second – in combination with a function key Fn. The laptop Lenovo M3070 uses a touchpad type klikpada. Its dimensions are 107 × 70 mm, which is enough for comfortable work. The sensitivity of the sensor surface is not satisfactory, and the buttons on the touchpad are very comfortable. They are well-spring-loaded, so there is always pressing fixation. The audio subsystem notebook Lenovo M3070 NDA is based on codec Realtek ALC233, and laptop case built two speakers. Subjectively, the acoustics in this laptop is acceptable, but to say that it is good, you can not. The maximum volume is smallish, and at maximum volume sometimes occur chatter and the sound of an unsaturated and a metal shade. But the audio path for headphones and external speakers was very good. To assess this, we resorted to audiopath instrumental testing using an external sound card Creative E-MU 0204 USB and utility RightMark Audio Analyzer 6.3.0. Testing was conducted to stereo mode, 24-bit / 44.1 kHz. According to the results of testing the audio section was rated “very good.” The full report with the test results in the program RMAA 6.3.0 submitted on a separate page , the following is a brief report. The laptop Lenovo M3070 used TN-matrix Samsung LTN133AT30401 with LED-based white LEDs.Matrix resolution is 1366 × 768, and its diagonal size – 13.3 inches. The matrix does not touch and has a matte finish. As you can see, it is a cheap matrix with mediocre performance. According to our measurements, the maximum brightness of the screen on a white background is 220 cd / m². With a maximum brightness of the screen gamma value equal to 1.93. The minimum brightness of the screen on a white background is 1.7 cd / m². The matrix in this laptop flickers at a frequency of 200 Hz, and pulse width modulation is used to control the brightness of the entire range. The color gamut of the LCD screen in a laptop covers 59.4% sRGB space and 41,0% Adobe RGB.The volume of the color gamut in this case, almost exactly the same: 59.5% of the sRGB and 41.0% of the Adobe RGB. This, of course, very small, even for a TN-matrix. Filters LCD matrix mediocre isolate the primary colors. The spectra of red and green and blue and green, much mixed. The color temperature of the LCD screen notebook Lenovo M3070 unstable throughout the gray scale increases and the transition to the dark tones. Primary colors (red, green, blue) are poorly balanced across the gray scale. The dark tones there is a surplus of blue ..
As for color accuracy (delta E), its value increases with the transition to the dark tones, reaching a maximum value of 12. In principle, it is permissible, but the result is not very good. If we talk about the viewing angles of the screen, they leave much to be desired. When looking at the image even at a slight angle on the horizontal and vertical color distorted and reduced brightness. In short, the laptop screen in the Lenovo M3070 is very mediocre. 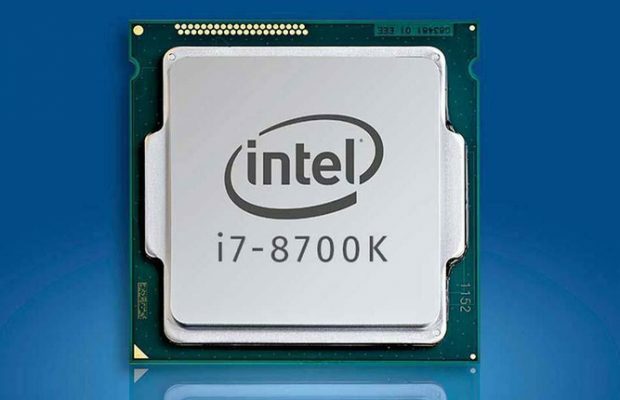 In idle mode, as it should be, the frequency of the processor is 800 MHz laptop (of course, we are talking about a balanced pattern of energy consumption), that is, Intel SpeedStep technology no complaints there. The processor temperature in this mode is about 42 ° C.
When the CPU load test Stress CPU (utility AIDA64 Extreme Edition – stability test system), which uses integer calculations, the CPU frequency of 1.9 GHz (recall that the processor Intel Core i3-4030U maximum frequency is fixed at 1.9 GHz ). The processor temperature in this mode the load is increased to 52 ° C.
When the CPU load test Stress FPU, which uses floating point calculations c and more heats processor CPU clock does not change and is of 1.9 GHz, and its temperature increases up to 62 nuclei ° C.
Finally, with simultaneous CPU test Stress FPU and graphics test Stress GPU frequency of the processor starts to jump from 1.2 to 1.9 GHz, and its temperature is increased to 69 cores ° C.
According to the utility AIDA64 Cache & Memory Benchmark, the data writing speed to the memory of 11889 MB / s and read speed – 11,800 MB / s. For memory of DDR3-1600 (peak capacity 12,800 MB / s) in single-channel mode is a typical result. As already noted, the laptop Lenovo M3070 storage subsystem is SSHD Seagate ST500LM000 500 GB. Utility ATTO Disk Benchmark determines the maximum speed sequential read and write this disk at 110 MB / s, which is quite typical for the HDD. However, when operating with a large block size (2 MB or more), there is a sharp dip in speed reading and writing. In order to find out what the cause of this failure in performance SSHD, we repeated the test at depth the task queue (Queue Depth) of 2 (this is the minimum value that can be installed in the utility ATTO Disk Benchmark), as well as the task queue of 10. Recall that the default queue depth problems in this utility is 4. When the depth of the task queue of 2 failure on speed reading and writing has been observed only when the block size of 8 MB. And with a depth equal to the task queue 10 failure rate for writing and reading has been observed with a block size of 512 KB. As you can see, the problem is that the SSHD Seagate ST500LM000 poorly kept high load.However, most of all tasks uncharacteristic for custom applications, so this feature should not affect drive performance under normal applications. CrystalDiskMark utility provides for a maximum sequential read speed and write about the same result. Here are the results of the test drive utility HD Tune Pro. The cooling system is a notebook cooler that blows air through the ventilation grids located on the left side of the notebook. Noise measurement was carried out in a special sound-absorbing chamber, and a sensitive microphone is positioned relative to the laptop to mimic the typical situation of the user’s head.According to our measurements, the idle noise level emitted by the laptop is 24 dBA. This is a very low noise level, which is barely visible to the background level. When stressful CPU and GPU level of noise emitted by the laptop is increased to 32 dBA. This is audible level, but still fairly quiet. In the afternoon, in a typical office environment with this level of noise the laptop will be heard. 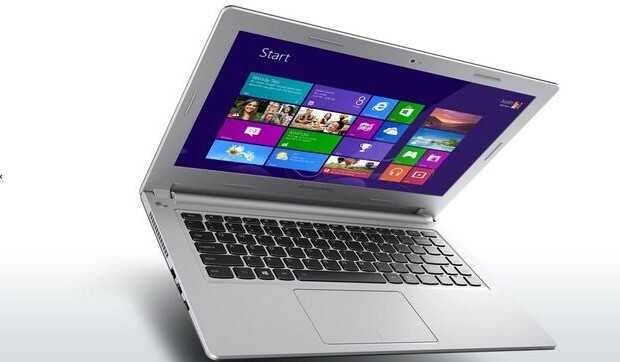 In short, Lenovo M3070 can be classified as low-noise notebook. Time measurement of the notebook offline we spent on our technique using a script iXBT Battery Benchmark v.1.0 . Recall that the battery life we measure with the screen brightness of 100 cd / m². We can not say that Lenovo M3070 very long battery life. Without recharging it hard enough for the whole day. To evaluate the performance of the laptop Lenovo M3070, we used our method of measuring performance using benchmarks iXBT Application Benchmark 2015 and iXBT Game Benchmark 2015. 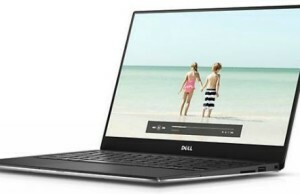 For clarity, we have also added to the table the results of testing 13-inch laptop Dell Inspiron 13, 7347 , which is equipped with an Intel Core i3- 4010U is a competing model for Lenovo M3070. Test results for the benchmark iXBT Application Benchmark 2015 are shown in the table. Thus, the integrated performance of the laptop Lenovo M3070 gives our reference system based on the processor Intel Core i5-3317U 29,5%. Thus, the performance Lenovo M3070 can be categorized entry-level solutions. Moreover, it lags behind the reference system, not only in those tests, the result of which depends primarily on CPU performance, but also in the tests, the result depends on the performance of storage subsystems (file system operations, the speed of installation and uninstallation of applications). And most bottleneck in the configuration Lenovo M3070 is precisely its storage subsystem based on the SSHD. If we compare the performance of notebooks Lenovo M3070 and Dell Inspiron 13, 7347, the difference is 14% in favor of Lenovo M3070. Here the effect of the fact that the laptop Lenovo slightly faster processor. In general, based on the obtained results it can be concluded that the Lenovo M3070 is suitable for use with office applications for the Internet, to view media content. In short, for the simplest of tasks. But resource-intensive programs such as those included in the package Adobe, this notebook does not fit its level of performance for such programs is not enough. You can, of course, increase the amount of memory and swap SSHD on the SSD. It will be a little better, but not dramatically, because the CPU bottleneck will remain, which will all slow down. However, in the intensive program this laptop is not focused yet because, for programs such as Adobe Photoshop, Adobe After Effects, and so on. E., Requires not only high performance, but also a large screen with high resolution (at least 1920 × 1080 ). And on the small screen, so even with a resolution of 1366 × 768, working in such programs is extremely inconvenient. Now consider the test results Lenovo M3070 games. Of course, this laptop is not designed for games (it is clear and without testing), but, nevertheless, demonstrate this clearly. All game tests were run at a resolution of 1366 × 768. The test results are shown in Table notebook. The results speak for themselves. Even with adjustments to the minimum quality of play comfortably fail. There are only two games (Grid 2 and World of Tanks), which give an average of 40 FPS – of course, only when setting the minimum quality (and once again remind about the screen resolution). In general, to say that on this laptop can play, it would be absolutely wrong. The first impression of the laptop Lenovo M3070 have been very good. Indeed, it looks stylish, light, thin, well-made, excellent keyboard, which is important for such decisions. And most importantly, it is cheap, we have described in the configuration cost of the laptop Lenovo M3070 is only 25 thousand rubles. Add to this the fact that it can be easily disassembled and can be a little upgrade: change the SSHD on the SSD and increase the amount of memory. However, as it turned out during the test, it has this laptop and disadvantages. Firstly, the level of his performance greatly limits the possible usage scenarios.That is the notebook for office applications, internet surfing, video viewing – and generally for content consumption. But for the most demanding applications Lenovo M3070 is not suitable. In addition, the notebook is not suitable for games. Secondly, at Lenovo M3070 screen rather low quality. And if the first drawback can be tolerated even in cases where the laptop to be used in accordance with the scenarios for which it is oriented, the second drawback more serious. If you need a laptop to work exclusively with the text (“typewriter with Internet access”), then this screen is fine. But if you plan to use it as a multimedia solution, such a screen can be annoying, so you better think about buying another model.